Oh Wednesday, blessed Wednesday, the last work day before Thanksgiving, has finally arrived. Monday, I got home to the smell of barbecue sauce (a good thing, since I asked Josh to stick dinner in the crock pot). As I got into comfy clothes, I heard an “uh-oh” from the kitchen. I walked in and discovered some very very very charred pieces of chicken and very very very burnt barbecue sauce. This, logically, resulted in a tearful meltdown on my part. Why? I didn’t make dinner. I didn’t burn it. But it was this nice meal I had imagined… our only alternative to frozen pizza. Instead we got Moes. After all, it was Monday. It was coupled with Parks and Rec, and followed with the making of Pumpkin Cheesecake, my contribution to the Crutchfield Thanksgiving. It’s funny, we haven’t really had many meal flops in our marriage… I tried Brie soup when we were engaged (it was awful), and I’ve failed bread on several occasions. I think I was crying because I WANT to be home, making meals but I just haven’t been home long enough to meal plan, shop, and cook. There will be cooking in December. Tuesday, I woke up at 4 am. Unable to breathe well, and coughing uncontrollably. Actually let’s not go into the details… let’s just say it was gross, I still feel gross, and I need to go to the doctor. Somehow, after waking up at 4 am, I worked a whole day non stop… so I worked about 9 hours. Let’s not mention that to HR, ok? Honestly, I’m really glad I did. I got a ton done, and I made a doctor’s appointment for Wednesday afternoon. If I hadn’t worked like a mad woman, I would have had to use PTO to go to the doctor… now I don’t have to. I had to skip Growth Group, and stayed home laying around getting some much needed rest and sleep. 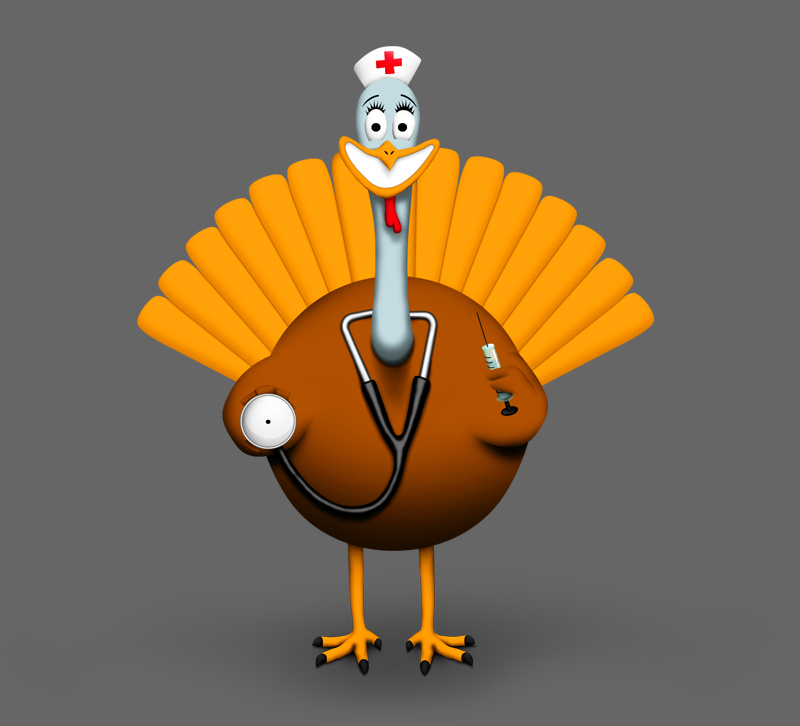 Today, I am leaving early to start my Thanksgiving holiday at the doctor’s office. I’ve had this cough and congestion for over a week, and it’s kind of a big deal being so sick since I just had Mono. Honestly, I’m not terribly surprised. I feel like I’m usually sick at Thanksgiving. Whether this is true or not, I’m not sure… but it feels true. Due to the holiday, I will not be blogging on Friday. Tune in Monday! This turkey is relevant because every year my family names the turkey after someone we disliked this year. This year the turkey is named after my previous employer. I am so so so excited to go to Columbia with you! There will be no burnt chicken (I’m really not mad at you), but lots of laughter and time with some of our favorite people on the planet. Thanks for taking care of me, and assuring me it’s not my fault that I’ve had to go to the doctor so much recently. I’m really looking forward to being healthy again… I know you want a healthy wife too. To sum it up: I’m thankful for you. Happy Thanksgiving, love.